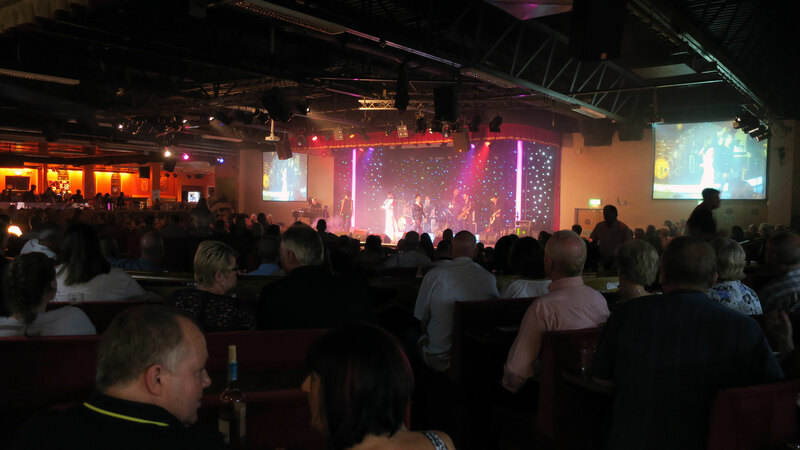 The Club Tropicana is the one of the East Coast's premiere entertainment venue's, and is situated on the Golden Palm Resort holiday park in Chapel St. Leonards Lincolnshire. Our 2,000 seater, air-conditioned venue boasts spectacular hi-tech sound and lighting. So whether you are dancing to live bands, laughing with hilarious comedians or listening to great singers, you can be assured that all of our LIVE! Entertainment is always presented in an extremely professional manner. 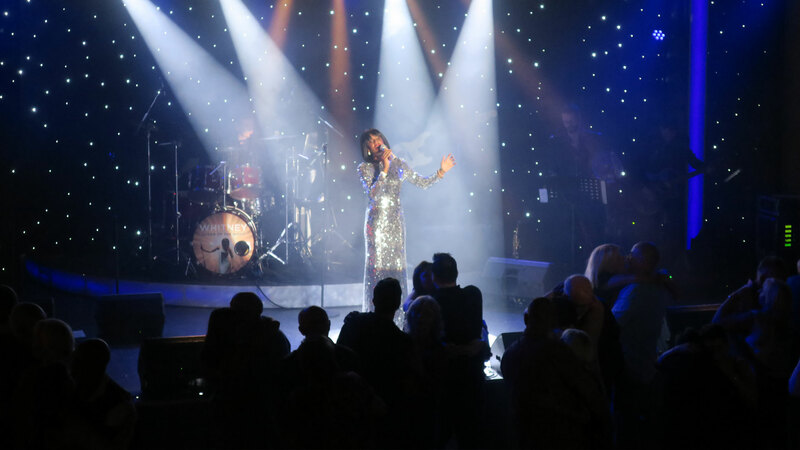 As well as our nightly visiting cabarets we also (in the main holiday season) have our fabulous Resident Cast including vocalists and dancers performing spectacular shows all with LIVE! Backing by our superb resident house band "The CT Band". The club is divided into two rooms The Red Room (main room) is strictly for 5 years of age and over and Goldies Lounge for families with children under 5 years of age. Both have excellent views of the main stage and all entertainment is viewable from both sections of the club. The Golden Palm Resort will open for the 2019 season on Wednesday 13th March 2019, The Club Tropicana will open for the 2019 season on Friday 15th March 2019. Don’t forget..... Saturday 16th March.... The Club Tropicana.. 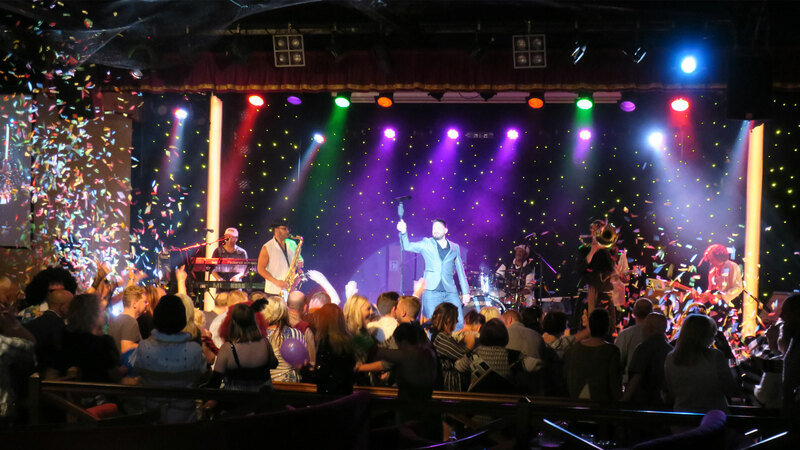 The very welcome return of reggae sensations Reggae on the Rocks, plus the brilliant sounds of Motown, Soul, Drifters, Temptations, from the amazing Legends of Hitzville. The brilliant comedy impressionist Danny Posthill makes another very welcome return, plus top international male vocalist Michael Brooks, with fantastic our host and compère Helen Farrell & The CT. Band. For our younger guests we have a brand new Meet the Superstars 2019 show plus magician Mr. Shiney. Sat 30th March 2019...The very welcome return of top tv. comedian Billy Pearce, plus full supporting show with great 70's band Tizer, International male vocalist Rob Linacre & Helen Farrell with The CT. Band.